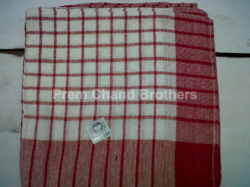 Prem Chand Brothers are a reputed Exporter, Supplier, Wholesaler, Trader and Manufacturer of superior quality of Kitchen Dusters. We are looking export inquiries from UAE, Dubai, Iran, Muscat, Oman, Spain, Greece, Paris, Rome and all over the world. Quantity Per Pack 12 pieces in a poly. Bulk pack of 240 dozen in a bale. Our wide range of Kitchen Duster can be availed at economical prices. This exclusively caters to kitchen purposes for cleaning various objects and allied areas,. We offer in different designs, sizes and color combinations. Our range is highly adored for its durability, beautiful look and efficient functioning. This duster comes in various design patterns that include checks, plain and yellow type of duster. 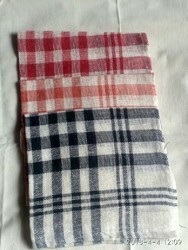 Moreover, this has softness, thickness and fine texture, that are comfortable in wiping off the stains. 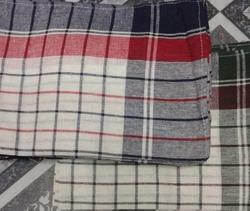 Check Dusters range offered is available in size options of 45cms x 67cms and is made using 100% cotton fabric. Available in six different color shades to choose from, its machine wash finish makes these more convenient to use. With a linen look, these are suitable to be used at homes, the dusters are made using finest quality yarns and come manufactured and woven under strict quality control. The finish features of dusters can also be custom developed as demanded by the customers. We are leading manufacturer, exporter, wholesaler and supplier of all kinds of kitchen dusters.